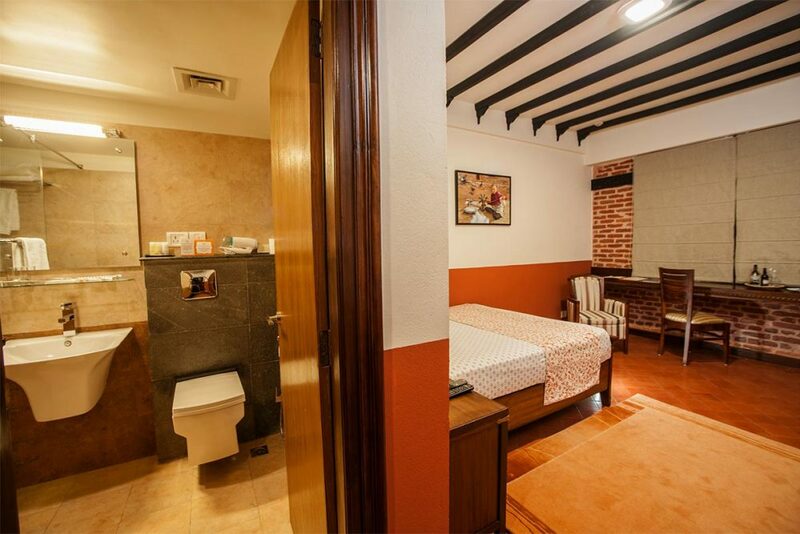 The understated elegance of the 36 rooms is created by the natural tones of the brick and wood. 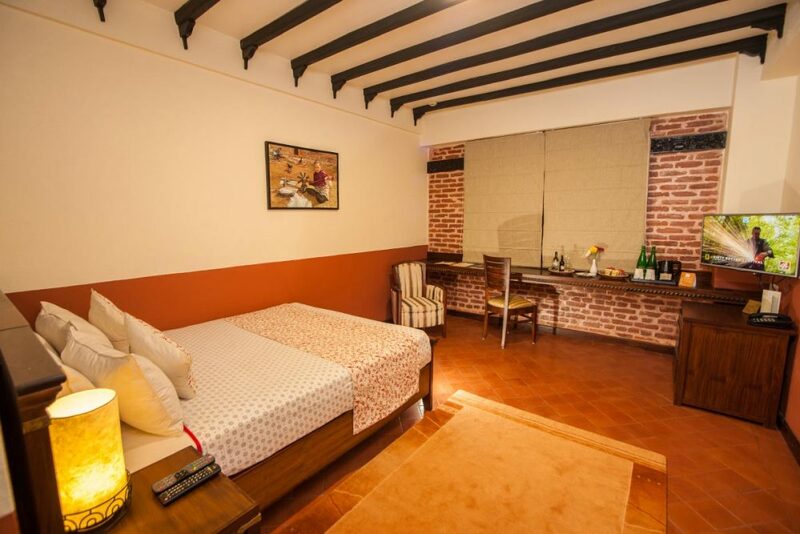 The warm hue of the red-coloured local bricks runs throughout the hotel, creating aesthetic unity. 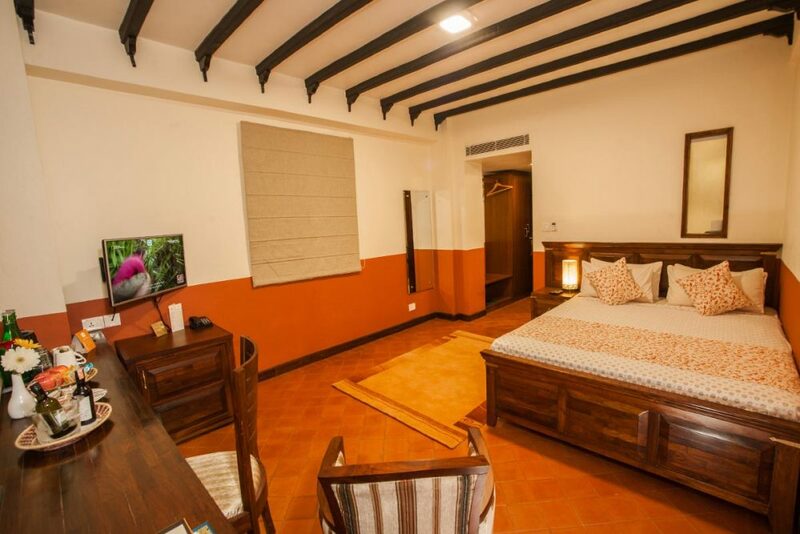 Rooms range from standard, with one queen bed, to deluxe, with a king bed, for those who would like some extra space. A few rooms have enough floor space to fit a third bed, should this be required, such as if traveling with a child. 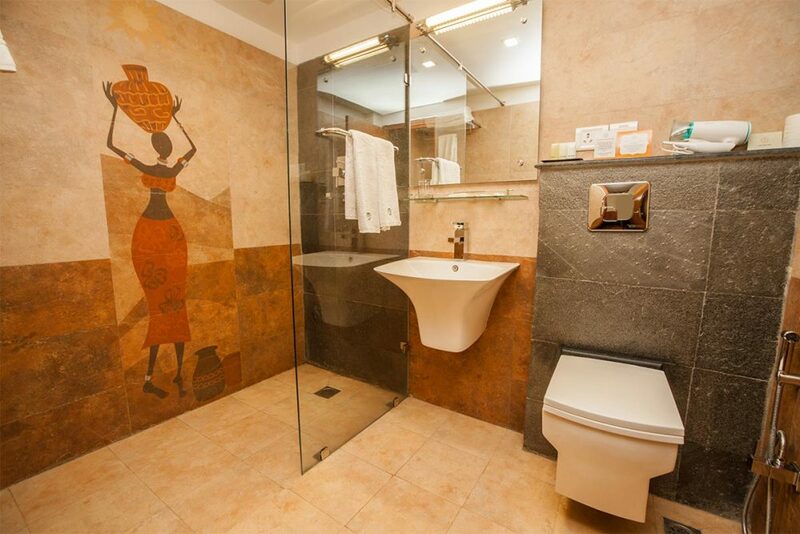 The bathrooms are lined with natural stone that sparkles in the light. Decorative tile-work livens up the space. All bathrooms contain spacious shower cubicles with large overhead showerheads, but in an effort to reduce water consumption, there are no bathtubs in the hotel. All bed linen is hand-made and hand-printed using traditional block-printing and fabric-painting techniques. (In fact, the beautiful textiles can be purchased from fair-trade stores around Kathmandu). The wooden bedroom furniture is all hand-made locally. 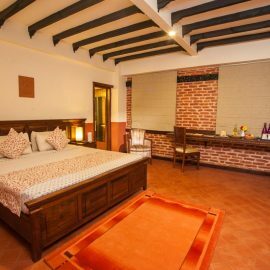 In keeping with the eco-friendly spirit of Hotel Traditional Comfort, the beds are made from small pieces of scrap wood, sanded down and polished to create the beautiful pieces of furniture that are the centrepiece of the room. The carved windows in the bedrooms are an artwork in themselves. At the right time of day, the sun streaming through the intricately carved lattices creates dancing patterns on the wall opposite. 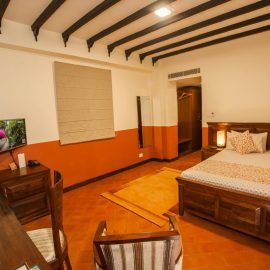 All rooms contain several windows and an abundance of natural light, from which you can see views of the Lotus Pond that gives the area—Kamal Pokhari—its name.